A few weeks ago I had the chance to use the MailPix service. We had lots of photo's from our 2011 Disney Vacation, but they had yet to be printed and put into an album. I knew this was a great chance for me to create some great photo products (mugs, canvasses, calendars and more). 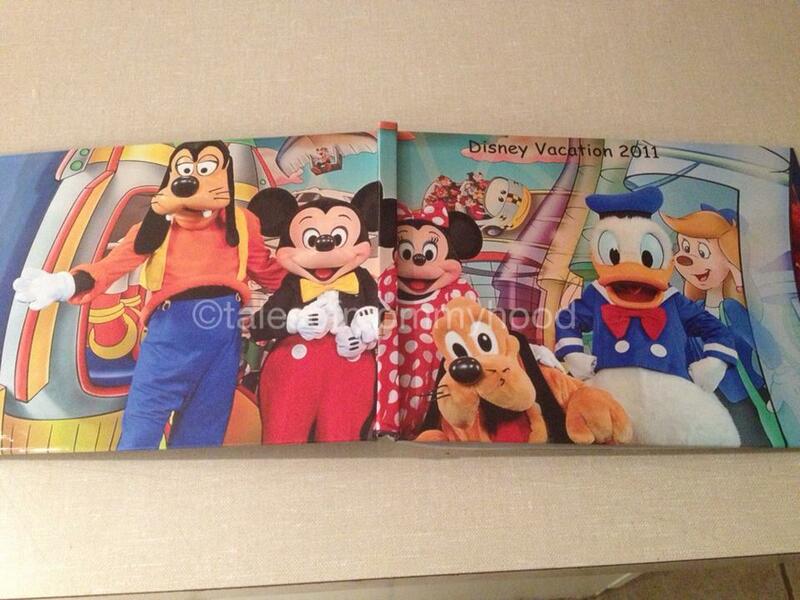 I took a look at the site and decided that I should go with the 8.5 x 11 photobooks. It was just the right size for what I was thinking about. Once I signed up on the site, I uploaded my photo's and set to work. It was really simple to use, and I had no issues while creating. I loved that there were a number of different styles to choose from, and that I could add writing to the pages if I chose. It took me less than 1 hour to upload and design my book and send it in to order. Shipping was pretty quick, and I was very happy with the finished product when it arrived. The photo's are clear and the words are easy to read. The colours are sharp and I am very happy with how our family memories turned out. If you are looking for digital photo printing check out MailPix! Wow, the quality of that book looks just like excellent! I remember purchasing one of the first photobooks many years ago, and the print quality was definitely not the same! I have seen some pretty awful ones also; but this was great! I haven't heard of this one yet! Whoops that cut me off. It sounds very unique and cute fur kids.